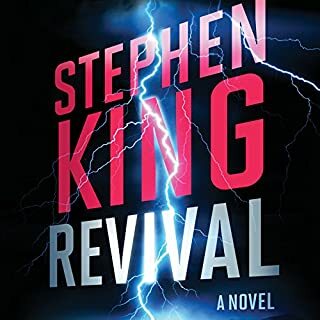 I have always been reluctant to read a Stephen King Novel believing regrettably thinking that all his stories were fearful and scary but I bit the bullet and my goodness I loved it. The story line was clever, intriguing, holding my interest all the way to the end. Undeniable a great thriller! Stephen King can spin a yarn with the best. In fact, his books seem more alive and engaging and than many other authors. I'm not a huge fan of his strictly horror writing, but if he can continue in this vein I'll read them all! A slow start but the links and story line linked in so well enjoyed it. Fantastic reading, excellent content. A thrilling listen. Can't wait to listen to the next books. Wow. King is the master of suspense, of character development, and of sick little twista and turns that send your stomach twisting, but in a good way. You're not just listening to a story, you're being picked up and flung on a journey. I loved it. The narrator was an absolutely perfect choice. Stephen king’s Thriller writing and Will Patton’s narration are a golden match. The novel is a powerful thriller that keeps you wanting more and more. The cat and mouse scenes between the retired detective and the villain keeps you on your toes. Will Patton brought the story to life! The narrator managed to paint an excellent picture of the characters with his voice. Excellent narration. Compelling narrative with a vicious sense of humor. The best audio book I've listened to. Yes, it's nicked part of almost every private-eye-hunts-serial-killer book ever written, from Wilkie Collins to Chandler and beyond. Yes, you could plot the beginning, middle and end without too many mistakes. But that old formula in a great storyteller's hands can grip like nothing else, which is why we're still watching Sherlock and why JK Rowling's equally cliche-ridden latests are selling like hotcakes. In other words, couldn't put it down (or whatever the audio equivalent may be). Highly recommended, have already downloaded the follow-up. Mr Mercedes has great pace, almost breathless sometimes . If you have ever liked a Stephen King novel, then I reckon you will like this one very much. Some decent characters, lots of action and tension - a classic page-turner, well read by Will Patton. But too straightforward, dare I say simple, for this fan - hence only 4 stars. Best for me would be Bag of Bones or Hearts In Atlantis, both available unabridged from audible. But don't get me wrong - Mr Mercedes is a really great listen! This Stephen King at his best - he is really much more than a horror writer, for those who don't already know that. It's his superb characterisation that is so special. His characters are fully realised, to the point that you feel you know them - even the evil ones. This is an "old fashioned" thriller, by which I don't mean dated or predictable, but simply a rattling good story which is scary, humorous, and moving - all human life is there as a disreputable newspaper used to say. It is hugely enjoyable and I found it difficult to pause once I had started. 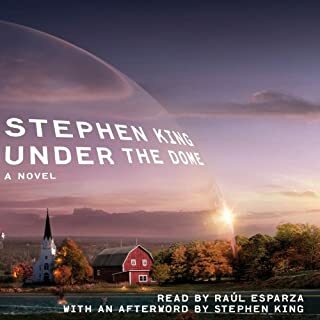 The narrator gives a beautifully judged performance and I would recommend this book to anyone - especially those who think Stephen King is not for them. 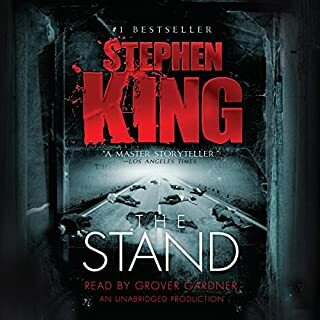 Well Mr King does it again what a story, as soon as this book started I new it was going to be one of those books that you just could not stop listening too. 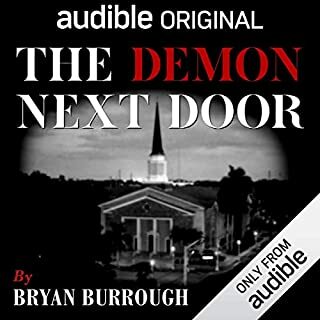 Right from the start of the book it all happens then the story comes together as retired policeman Bill Hodges goes back to a case that was never solved which little does he know that he his being watched himself from the crazy psychopath its so gripping well recommended great narrator too. A superbly gripping story read by the best. Outstanding narration makes this thrilling story of twisted humanity v flawed protagonists truly come alive - King at his best. Absolutely loved this book a great start to the trilogy. Can't wait to get the next one. Stephen king is back with his dark stories. this thriller doesn't disappoint. in typical king style, narrative leads this story promptly forward. overall, quite easy to complete. This is recognisable as Stephen King but is refreshingly different from supernatural or ghost or monster tales. Believe it or not this was my first Stephen King book. I was totally enthralled. Narration was fantastic and the story had me on the edge of my chair and high anticipation for the next chapter. Can thoroughly recommend. You won't turn it off !! Ripping good plot, never dull. 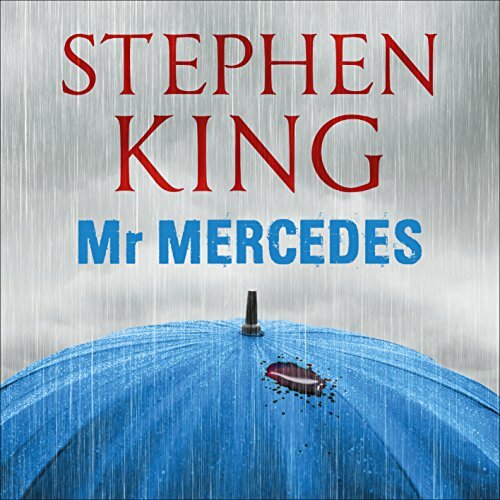 What other book might you compare Mr Mercedes to, and why? King's thrillers do not disappoint ! What does Will Patton bring to the story that you wouldn’t experience if you had only read the book? What did you like most about Mr Mercedes? Slow to start, but then it's addictive. You must also read Finders Keepers. It's a semi sequel. Loved this book. An enthralling tale of cat and mouse, it's Stephen King's characterisation skills at their finest. Will Patton is one of my favourite audio book narrators, he has this amazing ability to bring the roles to life without sounding cheesy or fake, even when doing female voices. Highly Recommended listen! Mr Mercedes begins at a lovely... slow... relaxing... pace. Then a strange sentence catches you unaware and BAM suddenly you know you are reading a Stephen King novel and your feet hit the ground and they don't stop running. You get a concise look into the mind of a psycho killer as he is relentlessly pursued by a Det Ret (Retired Detective). This is not a book about paranormal activities, ghosts, nor is it a who-dun-it. We know who did it. We just want to know if he is going to get caught. 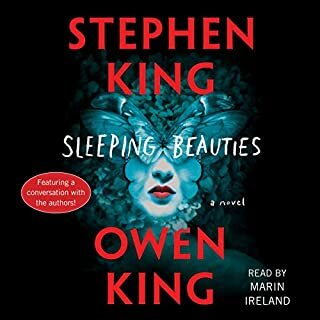 Even if you are not a Stephen King fan, I think you will really enjoy listening to this wonderful tale. And I must not neglect Will Patton who also does a remarkable job. Thought it would be slow and tedious.......WRONG!! At first I thought the Narration by Will Paton would be tedious and slow. how wrong was I! He was great. Great story!! Looking forward to book 2. Kept me coming back at every chance I had. Loved this, great characters, surprising twists, fantastic performance. Am going to read the whole series now. I loved it, it was suspenseful and engaging. The narrator's performance was impeccable. I can't wait to start the next one. brilliantly written and perfectly spoken. Will Patton presents this brilliant story perfectly. He portrays the Det Ret to perfection and brings King's tale to life. A thoroughly enjoyable book. I’m fairly new to Stephen King’s work. I have always steered clear of horror stories. This is certainly not horror, but quite suspenseful. The narrator does a great job of staying true to the characters, managing to keep the listener’s attention without being excessive. There’s enough drama in the text without the distraction of a poor narrator, and Mr Patton conveys the story, in my opinion, as the author intended. In summary, highly recommended. 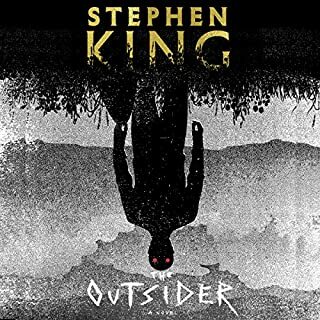 If you are as I am, averse to horror themes, and have avoided Mr King’s work for that reason, I can only say give this one a try. His expertise in his craft is obvious, and I don’t think you’ll be disappointed.